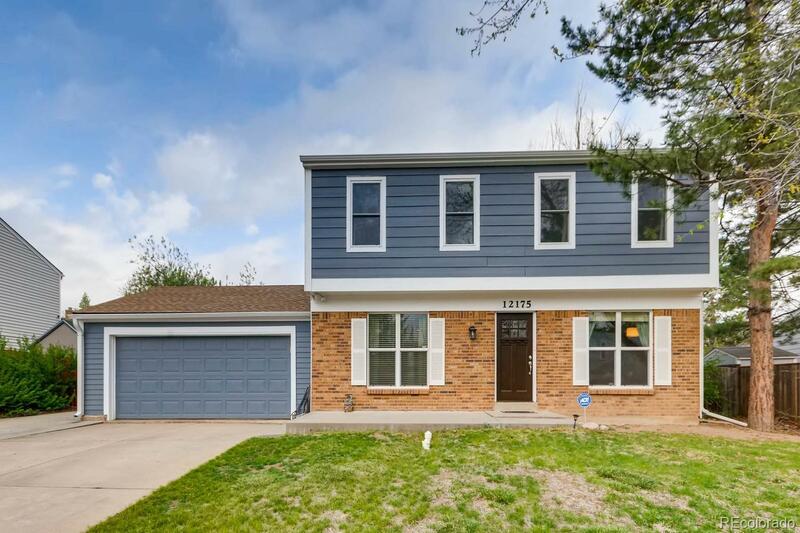 Fantastic two-story in Harriman Park in close proximity to neighborhood schools, parks, and open space. Meticulously maintained, this home is ready for you to move right in. Enjoy the versatile floor plan that offers formal living and dining overlooking the front yard and a main floor family room with cozy fireplace. The kitchen features modern appliances, tile counters, and ample cabinetry. A breakfast nook adjoins and provides access to the sizable backyard, perfect for entertaining. Upstairs, the sun-filled and spacious master suite has an updated three-quarter bath ensuite. Two additional bedrooms are served by a full bath on the hall. The basement affords ample finished flex space for family room/workout space and a laundry room. Outside, the backyard offers a pleasant patio, mature landscaping, and plenty of space to toss a football. A storage shed holds the yard toys and tools. Great location just minutes to C-470 makes getting into town or up to the mountains a breeze!